Almeria is the easternmost province of Andalusia. Arab and Christian monuments give their characteristic stamp to the more than hundred different townhalls of which this province is composed. The identity of Almeria is its centuries-old history of the many cultures and civilizations having established themselves in this region. Arab civilization had a strong influence on Almeria. In the capital Almeria you can visit the majestic Alcazaba, the cathedral-fortress; the Basilica Virgen del Mar (patron saint of the city) and Los Aljibes de Jayrán (Moorish cisterns). Monuments like the Palacio de Almanzora (palace), the Castillo de Vélez Blanco (castle) or the Castillo de Gérgal are also worth a visit. Christian civilization left a great number of churches and convents throughout the province, and along its 200-km coastline you find watchtowers, lighthouses and fortresses, like the fortress of Guardias Viejas next to the town of Almerimar. The capital of Almeria is located in the southeast of the Iberian Peninsula and is one of the Spanish cities with the most hours of sun in Europe, where you can enjoy a continuing spring season most of the year. Other treasures of nature that make Almeria highly attractive to tourists are the famous nature park Cabo de Gata and its beaches and the almost 2000 ha nature park Punta Entinas-Sabinar, which has a protected area of 785 ha and provides a home to flamingos. 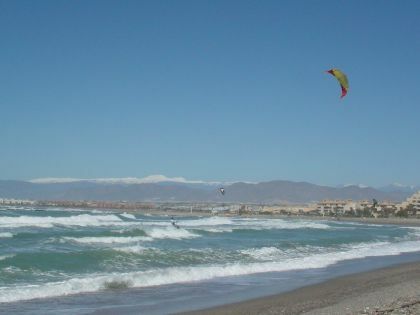 El Poniente de Almeria (in the western part of the province) and El Levante de Almeria (in the eastern part of the province) offer a wide variety of tourist activities during summer and winter. La Comarca del Poniente is the part of the Province of Almeria with the most tourists. It has a large number of attractive beaches and hotel complexes as well as natural coastal environments like Punta Entinas-Sabinar, which connects the village of Almerimar with Roquetas de Mar, Las Albuferas of Adra, El Arrecife Barrera de Posidonia of Roquetas de Mar and Las Salinas of Guardias Viejas. They are all worth a visit during your stay in Almeria. In the interior of the province you can find its historic and artistic heritage, like the Yacimiento of Ciavieja in El Ejido and the archaeological remains of Roman aqueducts in Vicar. Tourism in the interior part of the province is growing, thanks to the charming character of the towns Celin and Dalias as well as the small villages of Felix and Enix. 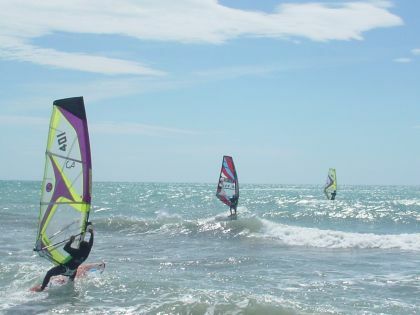 People devoted to windsurfing and kitesurfing will be captured by the places Ensenada de San Miguel at Almerimar and Playa Serena at Roquetas de Mar. 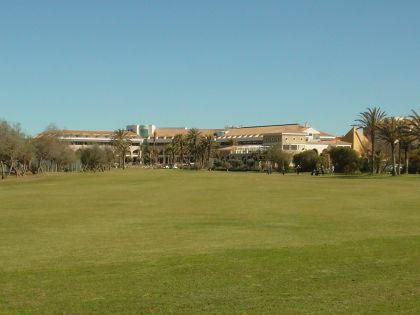 Golf-lovers can choose between several golf courses like Golf Resort Almerimar, Golf Playa Serena and La Envia Golf. 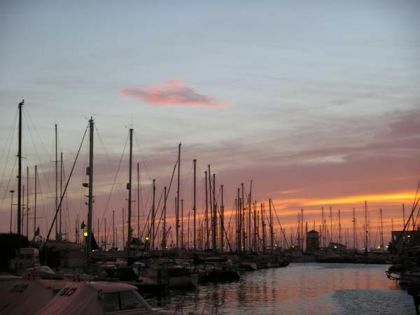 Fans of nautical sports will find their refuge at the marinas of Aguadulce, Roquetas de Mar, Almerimar or Adra, where possibilities exist also for diving, paragliding and hang-gliding. 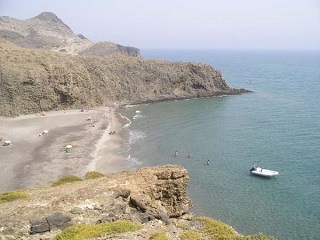 La Comarca del Levante has the famous nature reserve Cabo de Gata with its virgin beaches in a desert-like landscape. There are pictoresque villages like Cuevas de Almanzoras, Vera, Huercal-Overa, the white village of Mojácar or the small village of Sorbas with its houses hanging on the cliffs. Small fishing villages like Carboneras and Garrucha are the places to try a typical dish of sea food. You can even do caving at the Karst and Yesos (gypsum) of Sorbas, where water is crystal clear. Besides beach and sun holidays with a good hotel infrastructure along the coast, you find sports facilities to play golf, to practise equestrian sports, to do sailing, diving, hiking or bicycle touring. When visiting the mountains of Bédar and Almagrera, you can see the remains of the mining history of this region. 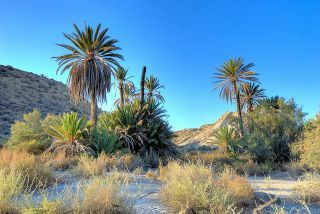 The region Los Filabres-Desert of Tabernas is the only European desert. It stands out because of its unique nature, climate and villages like Tabernas. The natural scenery of this village has been used in numerous Spaghetti Westerns, as explained in the "Mini-Hollywood" Park, which also has a zoo. 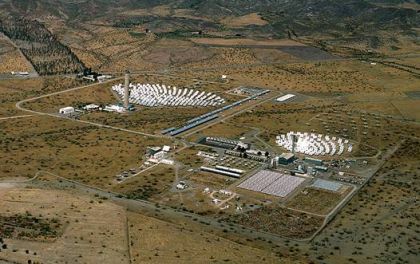 You might also like to visit the Observatorio del Calar Alto (space observatory) and the Solar Energy Generating Station of Tabernas, one of the 16 operating solar plants in Spain. 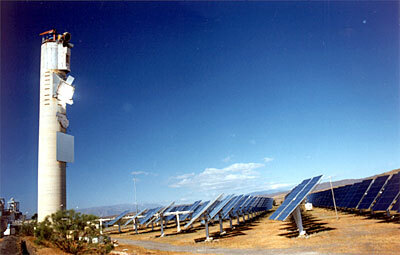 Together they represent the most advanced Solar Energy research project in Europe. The village of Castro de Filabres has a nice environment for rural tourism. The village of Gérgal, at the border between the desert and the woodlands, preserves its fortress Castillo del Conde de la Puebla, from where you can see a landscape that is unique in Europe. In the east of the Province of Almeria, close to the border with Murcia, you find the region of Los Vélez. Besides a history of thousands of years and a rich heritage of monuments, it has one of the most important mountain caves in the world with ancient paintings, declared a World Heritage site by Unesco. This region also offers architecture of two different times. On the one hand, you have the villages Vélez Rubio and Vélez Blanco, where you find palaces and houses of lords and nobles built during the time of the Marquis de los Vélez. 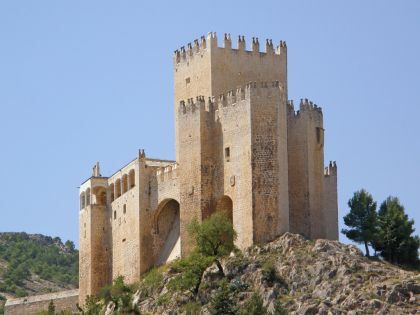 The Castle of Los Fajardo is a good example. On the other hand, there are the villages María and Chirivel close to the mountains. These villages have white houses and narrow, steep streets. The beautiful surroundings make this region perfect for all kinds of open air sports activities. There are several hiking routes to discover the nature and places to climb, or to practise paragliding. 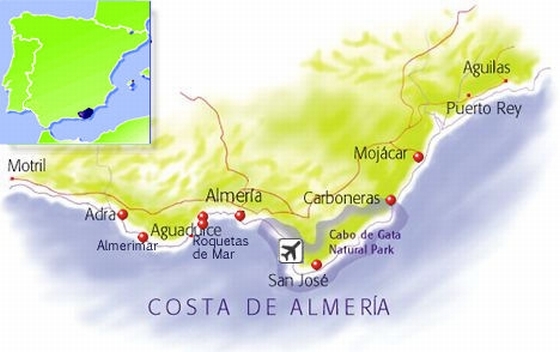 One of the big attractions of the Province of Almeria is its coast. From Levante to Poniente, Almeria has over 200 kms of coastline. The beaches are all different. You find beaches with sand glistening like gold as well as beaches with big rocks, and many other types of beaches. There is a great number of coves, some in protected nature reserves, where you can still find virgin beaches. All along the coast you find a great number of lighthouses, and fortresses which helped Almerian people protect their land thousands of years ago. The Poniente has well-known beaches, where the wind and the waves are ideal for windsurfing and kitesurfing. Thanks to the former World Champion windsurfer, who comes from Almerimar, a lot of people go to the beach of this village to try the waves. People who like solitude find it in the Levante coves, like Cala Rajá, Media Luna, Higuera, Peñón Blanco, del Plomo, En Medio, Cristal or on natural beaches like Playa de Monsul y Genoveses at San José, Playa de los Muertos at Carboneras, Playazo at Rodalquivir, Cala San Pedro between Aguamarga and Las Negras, Cala Panizo at Cuevas de Almanzora and Playa de San Juan de los Terreros at Pulpi. Rural tourism has great opportunities in the Province of Almeria. Nature parks in the interior as well as by the sea, in deserts, woodlands, rivers, in the snowy mountains of the Alpujarras and Sierras, in different farmlands and all kinds of villages make the potential for rural tourism enormous. With a surface of about 75,000 hectares of protected nature, the rural tourist has the possibility to go from the coast to the snow, from the mountains to the desert, and from holiday homes to rural apartments. The nature park Cabo de Gata-Níjar is probably the most attractive tourist resource of the province. Here you can mix coastal tourism with wild, extreme or rural tourism, all in the same trip. Another place worth visiting is the Sierra Alhamilla lookout, from which you can see the Tabernas Desert and from which you can make a journey to the Far West at "Mini-Hollywood", where well-known spaghetti Westerns were made. Staying at a quiet spa, like Hotel Balneario de Sierra Alhamilla and Hotel Balneario de San Nicolás, or losing the notion of time at one of the many farmhouses (cortijos) around Lucainena, Tabernas, Turrillas, Uleila or Sorbas gives a special kind of holiday experience. At the village Sorbas it is almost a must to visit the Karst and Yesos caves. More to the west you find another more rustic kind of rural tourism in the Alpujarras mountains. Here a mountain-type of life is presented with an accent on rural houses with wood-burning chimneys, fresh air, nature, mountaineering and the traditional Spanish kitchen cooking. From these mountains tourists have an exceptional view of the area where the two Almerian seas come together - the Mediterranean and the 'sea of greenhouses'. The Puerto de La Ragua deserves to be mentioned. This mountain pass is covered with pines and birch trees. It is a paradise for cross-country skiers, and in the summer you can make contact with the essence of Almerian nature. The Province of Almeria has 9 marinas for the nautical tourist, in total over 3200 berths. All possible aquatic sports can be practised around these marinas, which are Adra, Almerimar, Roquetas de Mar, Aguadulce, Almeria, San José, Carboneras, Garrucha and Villaricos. Because of the rich plant and animal life at the sea bottom and the virgin beaches the Province of Almeria is an oasis for diving. The Province of Almeria has 10 golf courses, which are Alborán Golf, Country Club La Envia Golf, Club de Golf Playa Serena, Golf Resort Almerimar, Desert Springs Golf Club, Cortijo Grande Golf Resort, Valle del Este Resort, Playa Macenas Beach & Golf Resort, Aguilón Golf and Marina Golf Mojácar. The priviliged climate makes Almeria an ideal region to play golf. With an average of 320 days of sunshine a year and its golf courses situated on highly priviliged surroundings, Almeria is one of the best tourist destinations for golf lovers. Each course is unique and offers different peculiarities, which make a golfplayer choose his favourite destination based on his preferences or skills as a golfer. The golf tourist can practise his swing on a course in a mountain valley, in a desert-like landscape or in an environment surrounded by nature's beauty next to a picturesque beach and with a view of snow-covered mountains. There are up to 15 certified routes for hiking that guide you all through the province. Most trails are "pequeño recorrido PR", which means short trails. These trails are Sendero de Bolaños al Calar and Sendero de Guainos-Ermita de la Sierra, both in the Adra region. Trail Cordel de la Solana can be found around Alboloduy; Sendero Bacares-Sierro, Sendero de Enix a Almeria, Camino Loma de Tablas in Gérgal; Sendero Huércal La Vieja in Huércal Overa; Sendero del Talco in Lúcar y Somontín; Nacimiento a Gilma, Sendero del Desierto in Tabernas; and Sendero de los Molinos in Urrácal. In the province are 2 local trails indicated as SL (sendero local), and there is 1 long-distance trail "grande recorrido GR" which is called "Provincia de Almeria". The province has a long history of producing grapes, with which it started its agricultural production and its trend to sell products beyond its borders. This production increased through the use of plastic to protect the grapes, and later on it progressed to the growing of vegetables in greenhouses, by which Almeria is known today. 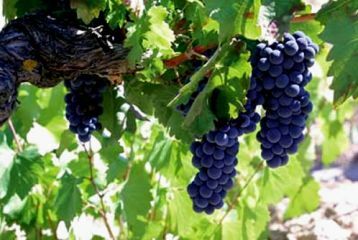 However, in the small towns of the Alpujarras mountains, such as Laujar, Alboloduy and Alto Almanzora, they are still making wines, mainly by mixing two types of grapes - the tempranillo and the merlot. Here tourists can visit the vineyards and wine cellars (bodegas) as well as taste wines made by local vintners. Last but not least, the Province of Almeria is part of the journey most migratory birds make every year between Africa and Europe. Ornithological tourism names Almeria as a top destination to see some of the thousands of birds that pass through the province. Up to 15,000 birds of 70 different species find a resting place in the Almerian lagoons to recover their strength. About 10 wetland areas, of which one of the most important is Punta Entinas-Sabinar with a total of near to 2000 ha of which 785 ha are protected. 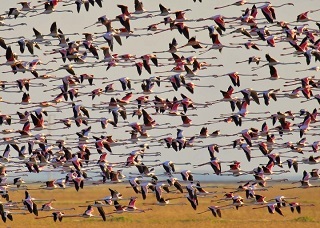 It provides a home to a large number of flamingos. Las Albuferas de Adra and Las Salinas de Cabo de Gata are surely also worth a visit to observe animal life.